As kids we think adults have all the answers. As adults we know this isn’t true. You may assume you’ll feel far more confident as an adult than you were when you were younger, but this isn’t necessarily true either. The good news is there are lots of ways you could improve how confident you feel about life. We’re betting taking up martial arts won’t appear on that list, but in reality you might be surprised at how differently you feel once you’ve had a go. A lot of people think of martial arts only in terms of it being a good way to defend yourself. While this is true, it can also provide a wide range of other perks you may never have thought of. 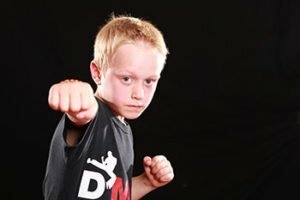 You’ll certainly get more confident in your abilities as you take more regular martial arts lessons. However you may not be prepared for how that confidence has the ability to spill over into the rest of your life. When you get involved you’ll start looking forward to each lesson. Each one brings with it a new learning experience and new skills for you to refine. As you get better you’ll become more confident quite naturally. That confidence will affect the way you think and feel in every other moment of your life too. You won’t leave it at the door when you depart each lesson. People are often surprised at how much they’re changed by martial arts. They may take it up for all kinds of different reasons, but they usually stick with it for other reasons as well. If you’re lacking in confidence try attending a class soon and see how you feel as a result. You’ll realise you can achieve far more than you ever thought you could, regardless of age. Why not try it today? Previous Post Martial Arts and Bullying Next Post Think Martial Arts Isn’t for You?